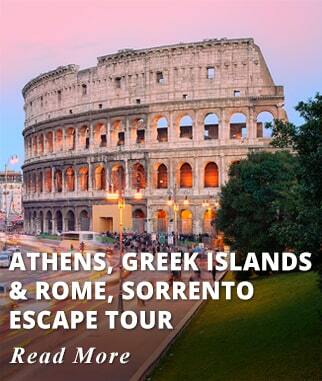 Enjoy the splendor of the Greek Islands and visit some of the most famed archeological sites in Greece. 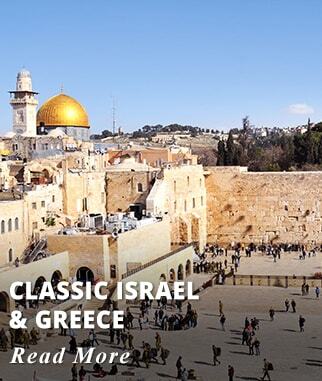 Conveniently packaged itinerary including international flights and Ferry tickets. 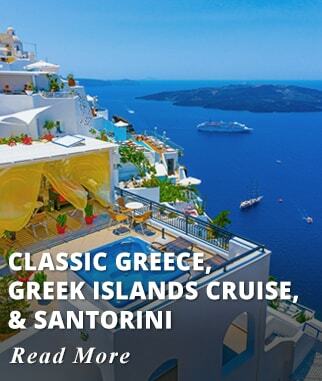 Spend two nights aboard an Aegean Cruise including all meals, drinks and two free offshore excursions. 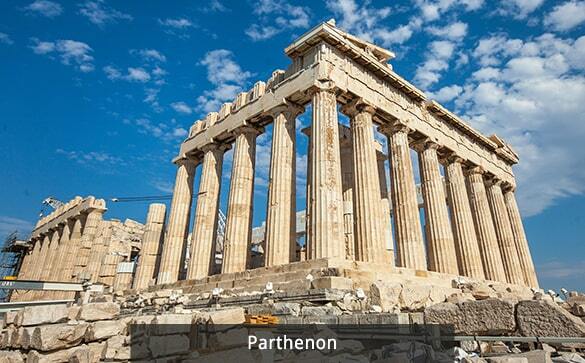 In Athens includes accommodations with breakfast daily and a half day City Tour with a visit to the Parthenon. 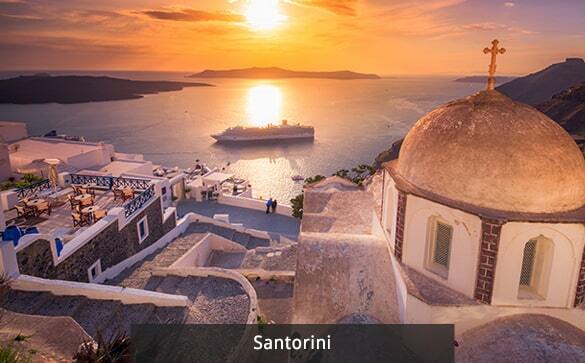 Discover the Island of Santorini with a two-night stay that allows you to explore on your own. We offer guaranteed departure dates with meet and assist services and small groups. Our prices include all transfers including Port - Hotel - Port, Port Charges, Cruise Tips, and all taxes (except Local Hotel Room Tax), there are no hidden costs. Prices valid for weekly Tuesday Departures from March 20 2019 to October 23 2019. Prices are higher during Christmas/Easter and Summer (May 05 - September 28). Prices are per person based on double occupancy, Single Supplement $799 USD. After clearing customs an immigration, you will meet with our representative; look for a sign with your name upon exiting. 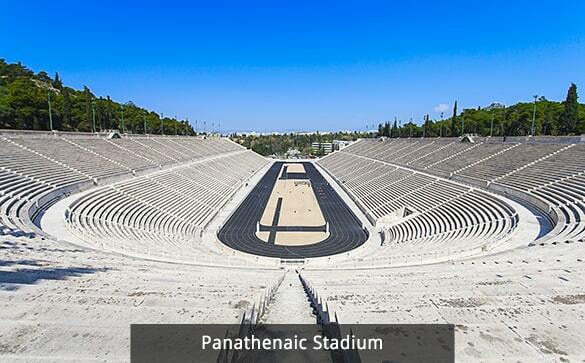 The transfer is included from Airport to your Athens Hotel. 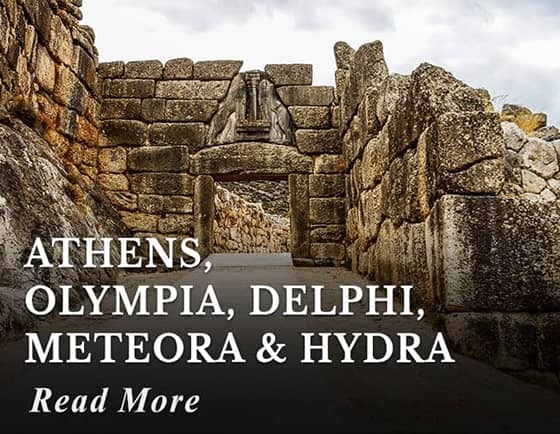 Accommodation: Polis Grand Hotel, Titania, Zafolia, Alexandros or similar. 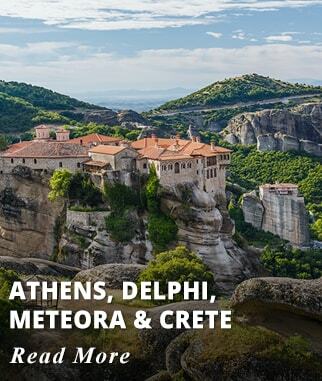 Upgrade at an extra cost to: Athens Plaza, Radisson Blu, St George Lycabettus, or similar. Activities included today: Arrival in Athens. Transfer to your Hotel. 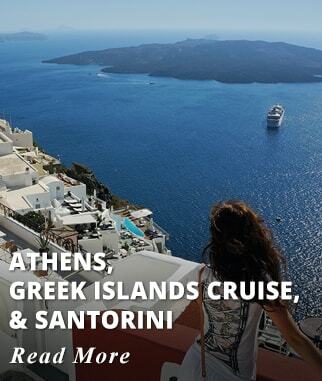 After breakfast, we will be transferring to Athens Port to embark on your Aegean Islands Cruise Ship. 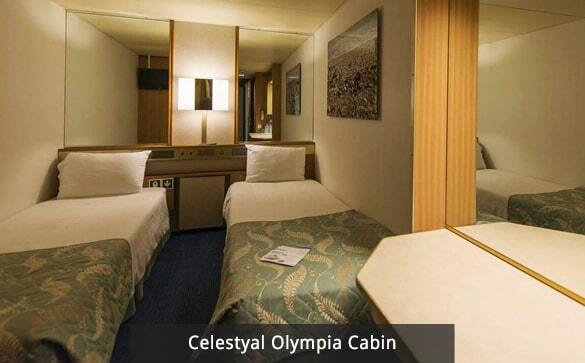 You will board the Celestyal Olympia, a Ship with 724 Cabins with ensuite bathrooms, TV and air conditioning. 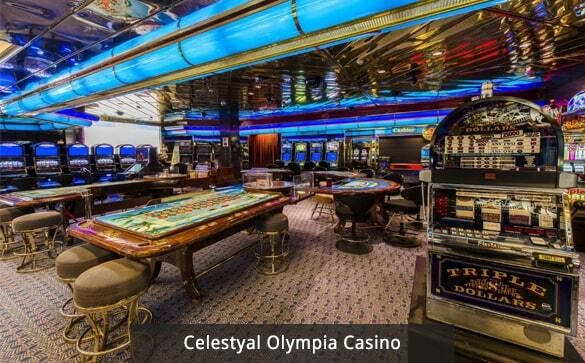 The Ships has a Casino, 3 Restaurants, 2 Lounges, 5 Bars, 2 Swimming Pools, Spa and Gym. 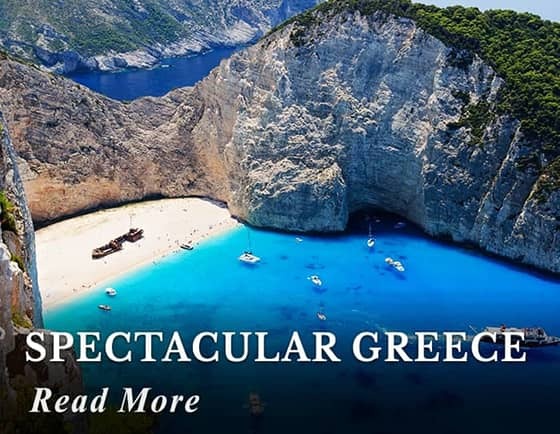 Includes three meals daily, drinks package (includes selected alcoholic drinks), and two offshore excursions. 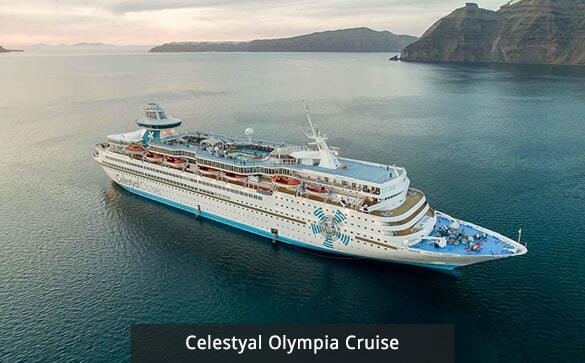 Ship Departs at 13:00 from Athens. Arrive in Mykonos at 18:00. 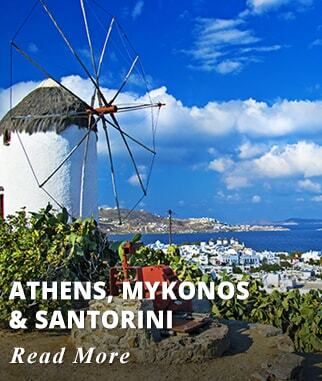 Free time to explore the bustling Town of Mykonos. 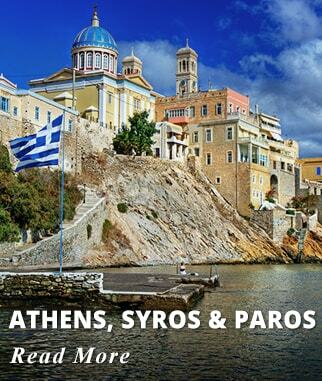 Depart Mykonos by 23:00, overnight on board sailing to Kusadasi. Meals included today: Breakfast, Lunch and Dinner/On board drinks package. 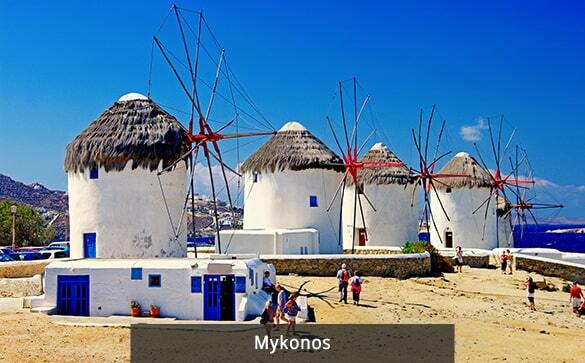 Activities included today: Cruise Embarkation - Cruise stop in Mykonos. Explore on your own. Arrive in Kusadasi Turkey by 07:00 am. After breakfast on board, depart for your offshore excursion to visit ancient Ephesus and the covered bazaar of Kusadasi. 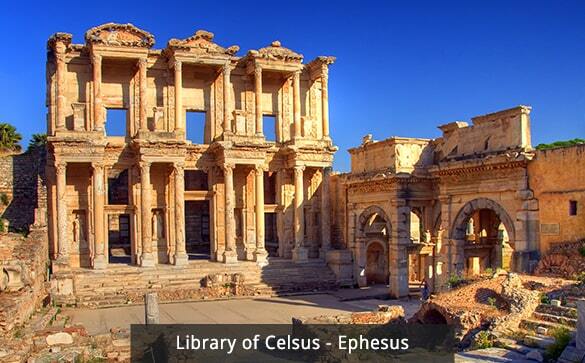 The ruins of Ephesus and Ancient City are well known for their Theatre and Library. This offshore excursion is included in your package. 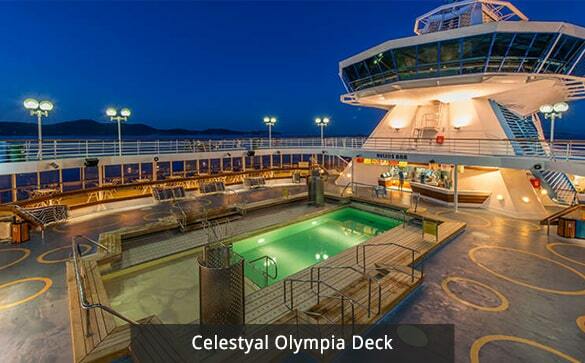 Ship Departs at 13:30 from Kusadasi. 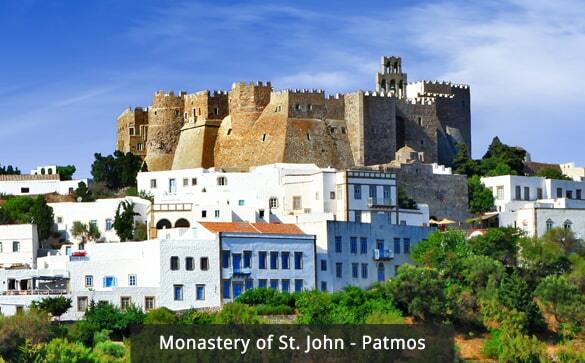 Early in the afternoon, the ship will arrive in the Holy Island of Patmos, Greece. Explore on your own. As you approach the Port of Skala from the Sea, your first sight is the massive medieval walls of the Monastery. 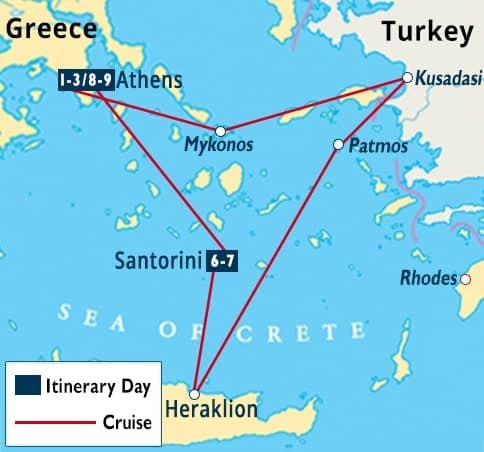 Depart Patmos by 21:30, overnight sailing to Crete (Heraklion). Meals included today: Breakfast, Lunch, and Dinner/Onboard Drink package. Activities included today: Cruise stop at Kusadasi. 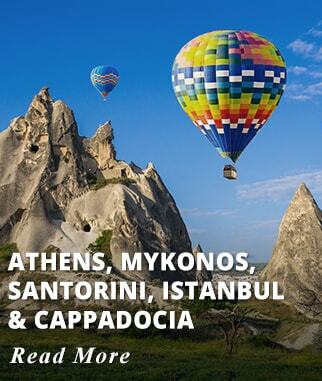 Offshore excursion to visit Ancient Ephesus and the covered Bazaar in Kusadasi. Cruise stop in Patmos to explore on your own. Arrive in Crete/Heraklion by 07:00 am. 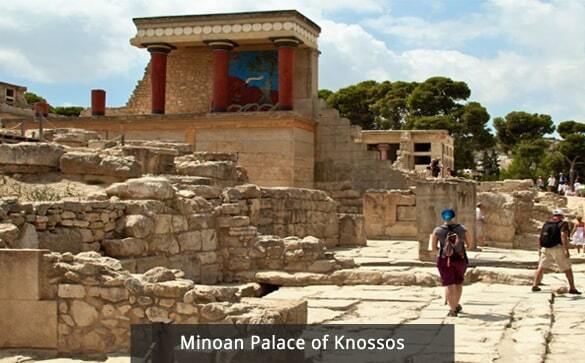 Enjoy your included offshore excursion to visit the Minoan Palace of Knossos, the most important archeological site in the Island of Crete. Ship Departs at 11:30 from Heraklion. Arrive by 16:00 at the unique island of Santorini. 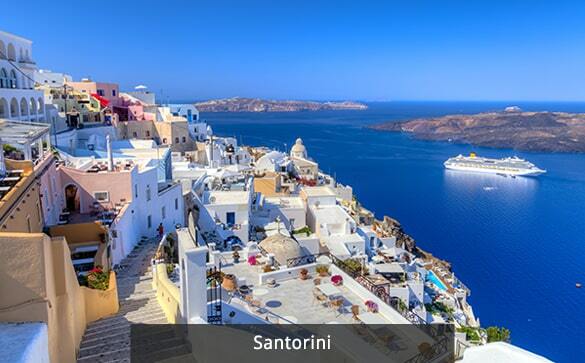 Our Representative will transfer you to your Santorini Hotel. Enjoy the evening at leisure to explore on your own or perhaps add an optional tour. Accommodation: Afroditi Venus, Aqua Vatos, Orizontes, or Similar. Upgrade at an extra cost to: Lillium, Cliffside Suites Majestic or similar. Activities included today: Cruise stop at Heraklion. Arrival in Santorini. Disembarkation in Santorini. 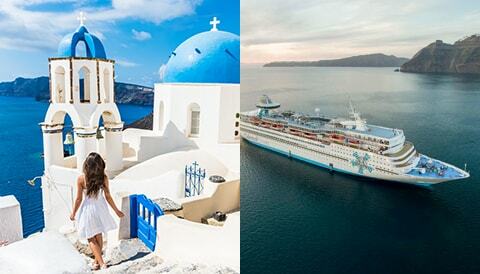 Transfer to your Santorini Hotel. 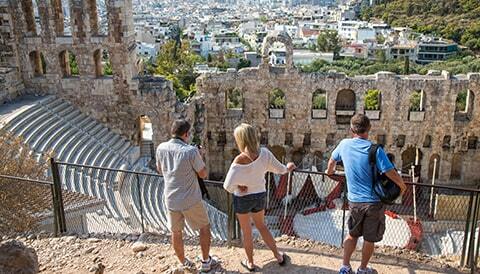 Extend your stay for one more night aboard the Cruise and visit the Island of Rhodes. Day at leisure on this amazing island of Santorini. Explore and enjoy all that the island has to offer. 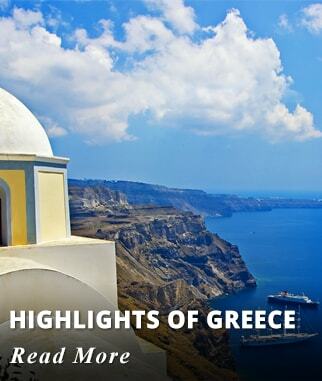 History and nature combine to make Santorini unforgettable. Explore the unique black sanded beaches or take a boat tour to the Island's Caldera. 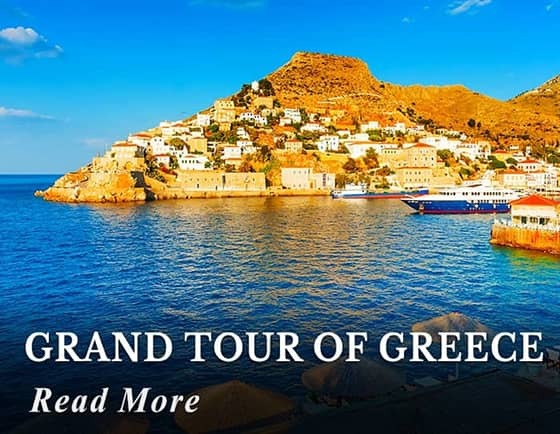 Another great optional tour to consider is a visit to the archeological site of Akrotiri; and of course explore the beautiful Towns of Fira and Oia. Upon arrival our representative will meet you and transfer you to your Hotel. 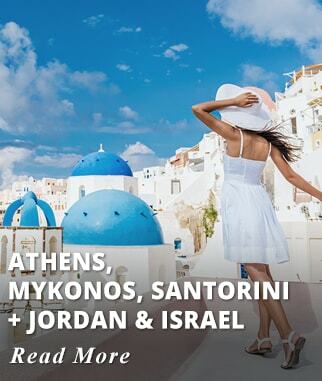 Activities included today: Travel by Ferry from Santorini to Athens. Rest of the day at leisure. 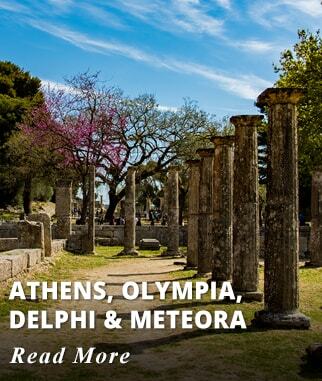 Three nights of accommodations in Athens, at Polis Grand Hotel, Titania, Zafolia, Alexandros or similar. 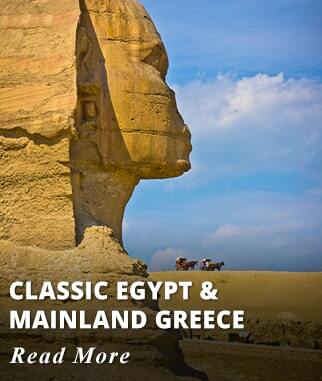 Two nights of accommodation aboard Celestyal Aegean Cruise. Inside Cabin. 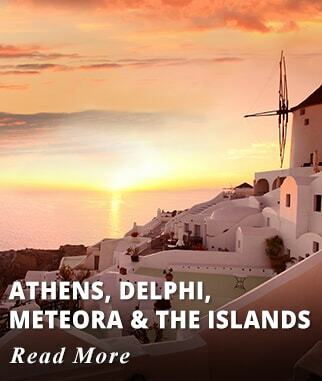 Two nights of accommodation in Santorini, at Afroditi Venus, Aqua Vatos, Orizontes, or Similar. 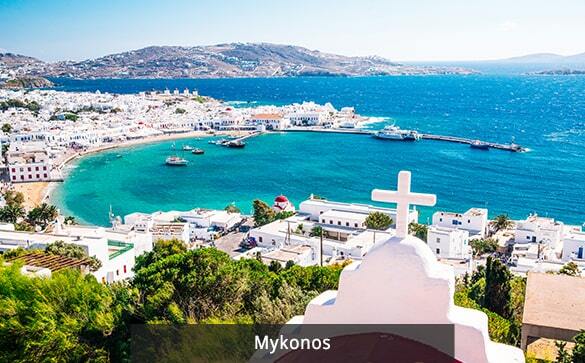 Cruise Stop in Mykonos to explore on your own. 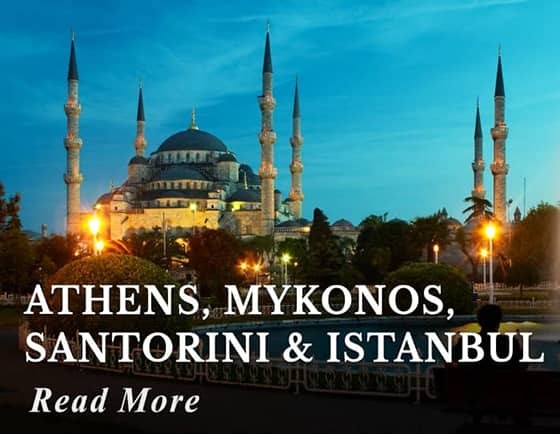 Offshore excursion to visit Ancient Ephesus and the Covered Bazaar in Kusadasi, Turkey. Cruise Stop in Patmos to explore on your own. Offshore excursion to visit the Minoan Palace of Knossos in Crete. 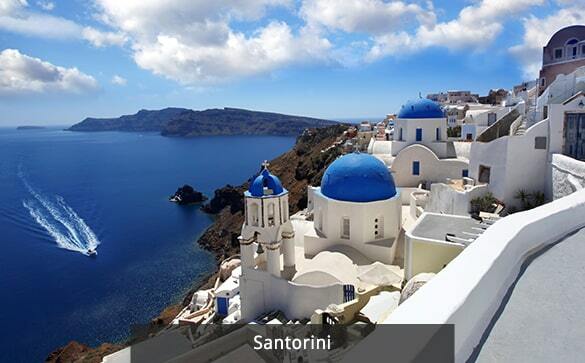 Free day in Santorini to explore on your own. Breakfast daily during your stay in Athens. 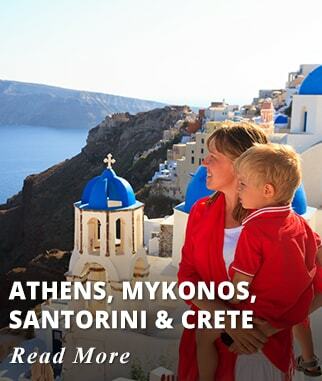 Breakfast, Lunch and Dinner daily aboard your Aegean Cruise. Breakfast daily during your stay in Santorini. On board Drinks Package; Unlimited non-alcoholic and alcoholic beverages. Some restrictions may apply. Ferry transfer Santorini - Athens. All taxes. 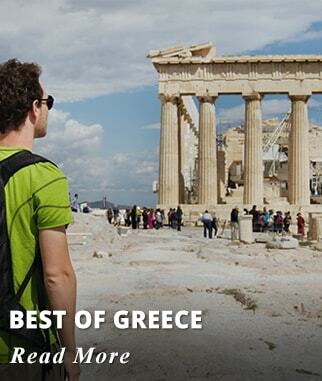 Except for Hotel Room Tax in Greece to be paid locally. Customary tips for Driver, Guides, Cruise staff, etc. 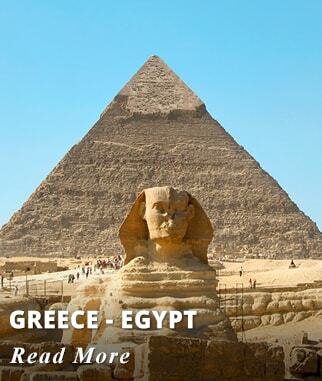 Hotel tax (in Greece): Travelers are required to pay a daily room tax upon arrival and directly to the hotel. 3 € per room, per night.